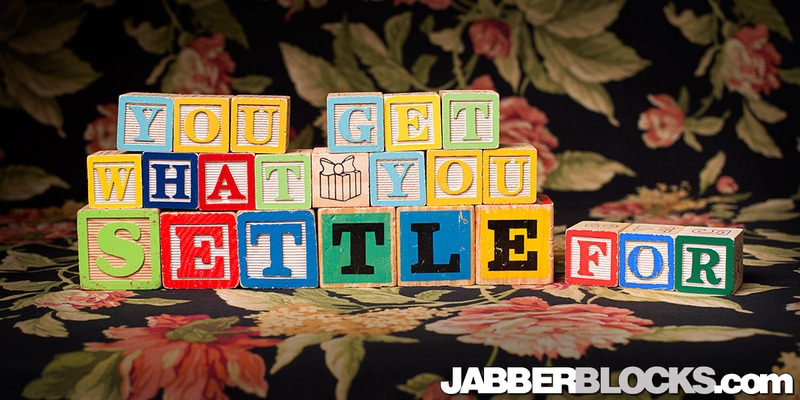 You get what you settle for – How true is this? So many times we end up settling for something when what we really wanted just seemed a little out of reach or required a little more effort. 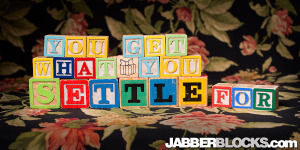 Why settle for less than what you want? Work for it, and achieve great things.It can be as simple for settling for a bad TV show when you could read a great book or enjoy an entertaining DVD. It can be as complex as settling for that job you don’t like rather than work towards a better one. This entry was posted in Reflective.